It is war and enemies are attacking. 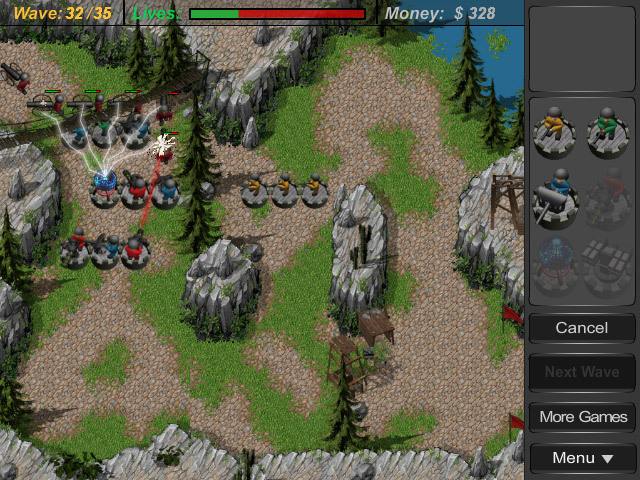 Soon they will reach your land and the only way to stop enemy units is to place defense towers in their way. Eliminate them all, nobody should pass your defense. 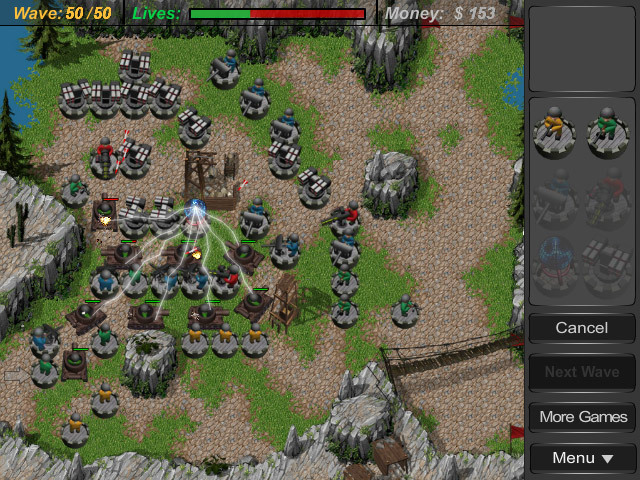 Build defense towers to stop the enemies. 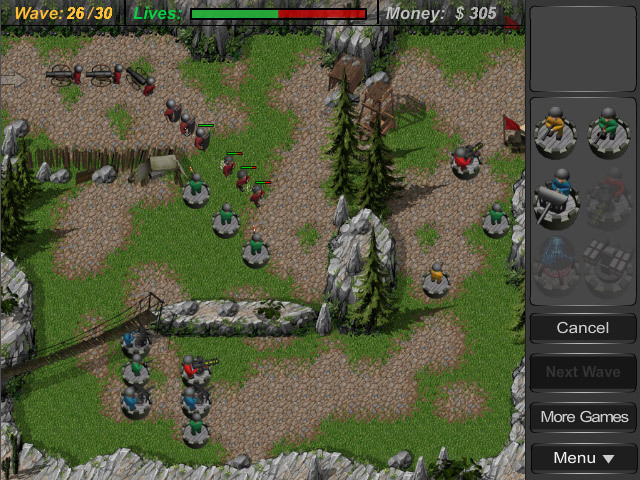 Destroy all enemy units before they reach the red flags. If they pass your defense you will loose lives. Click on a tower to see it’s stats, upgrade or sell the selected tower.